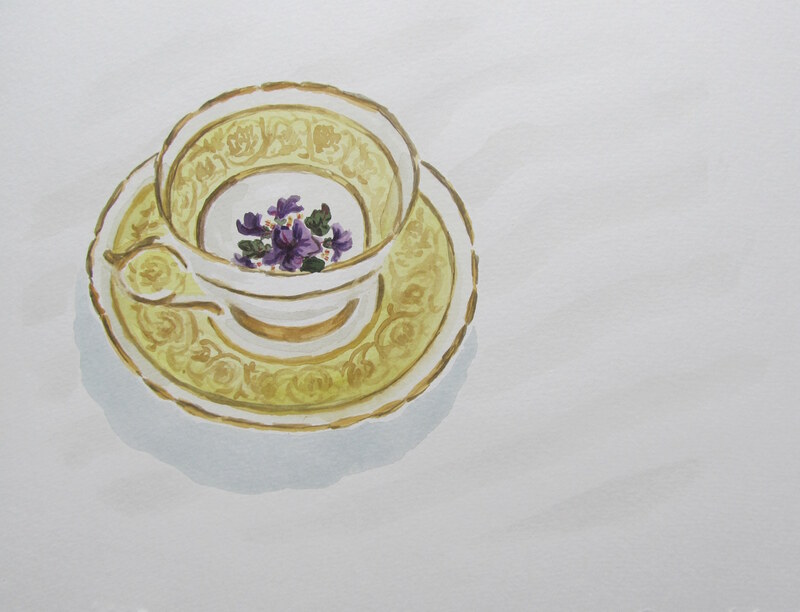 Watercolour Wednesday — Yellow and gold tea-cup. I’m having a lot of fun painting tea-cups right now although they aren’t as easy to do as I had thought they would be. It’s interesting that what started as a request from a friend is turning into a mini series; I don’t know if I would have chosen to do tea-cups on my own. I’m also really liking that they are so small and portable–easy to take along with me to the downtown studio. ← Watercolour Wednesday — Black and gold tea-cup. Love this one too! I look forward to watercolour wednesdays and the teacup series. Keep them coming!